The all-new iPhone 6s enables you to capture moments with motion as well as sound. 6s packs all the latest features along with an impressive design that makes it stand apart in a powerfully vivid way. It features a bright 11.93 cm (4.7) Retina HD Display with 3D Touch to deliver an enhanced viewing experience. Loaded with the advanced iOS 9 Operating System (OS) along with A9 Chip and M9 Motion Coprocessor, 6s delivers 70 % faster CPU performance and 90 % faster GPU performance. Moreover, with new alloy of 7000 Series aluminium construction along with the world’s strongest cover glass, 6s is ready to dazzle you with its powerful performance. It offers 4G LTE connectivity and ultra-fast wireless technologies to keep you connected around the world. The Apple iPhone 6S Refurbished Mobile Phone was added to the Mobile Cell Phones category in December 2018. 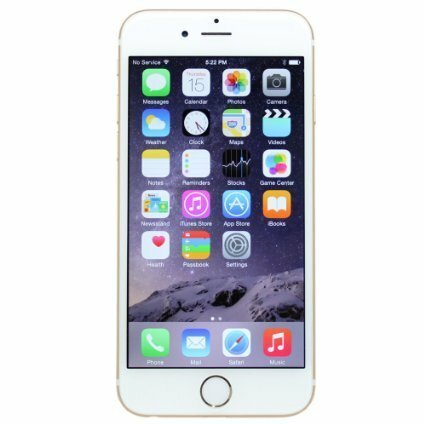 The lowest price GetPrice has found for the Apple iPhone 6S Refurbished Mobile Phone in Australia is $329.00 from Kogan. Other merchants who stock it are Kogan, mResell.